The street she was walking along did not seem all that familiar to her; there were colonial style houses with their little white picket fences on either side in neat little rows. Like something you would see in a movie. There was nothing to really distinguish where it was that she had found herself. She continued down the street. She somehow knew where she was headed, but still nothing seemed to fit to her. This certainly wasn’t her street. She lived in the city in a three-story walk-up apartment building on a busy street. There were no walk-ups in sight and this certainly did not classify as a busy street. She had not even seen one car pass her. Mind you, judging by how dark it was and how many lights were on in the houses she was passing she would put the time well past midnight. Nothing was moving on the street; the streetlights showed nobody. As she ran she tried to call out for help but for some reason the most sound that she could make was that of a mouse’s squeak. She took a chance and looked back over her shoulder; he had almost caught up with her and this was the chance the man needed to bridge the gap between them. 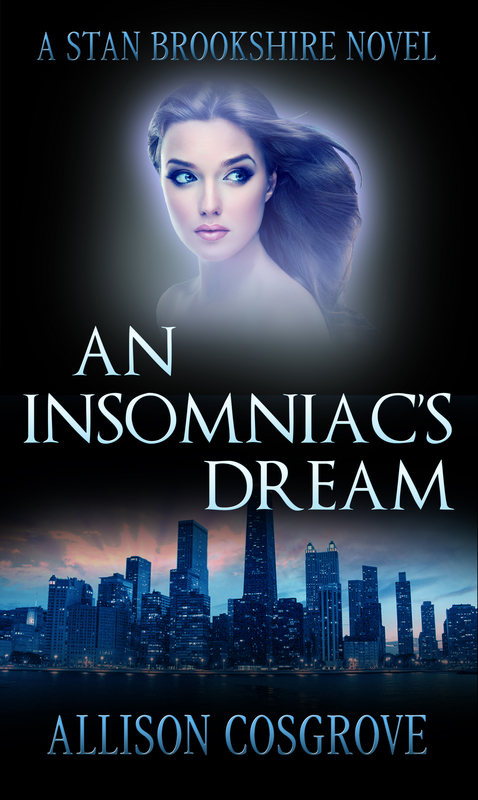 Beth suddenly woke up and was back in her room in her walk-up apartment; it had all been a dream. A nightmare. “Allison has created a memorable detective with Stan Brookshire. The premise of the story is, a cult has been killing children and Stan has to stop them before it’s too late. The police believe they have the right man in custody but another kidnapping casts that into doubt. The trial is not going well, and despite the hope that the child was abducted by a copycat, Stan begins to believe that something more is happening. The mother of the child gets involved, and slowly the protagonists realize that this is not a standard kidnapping. It was a well-crafted mystery that kept me on the edge of my seat. But the real reason I kept reading was I felt like I really got to know Detective Stan Brookshire through the story. I loved his interactions with the different characters and how he becomes emotionally involved.